Asymmetric dresses are the perfect way to show your unique sense of style. A playful hemline creatively demonstrates your individuality in a way that’s creative and incredibly stylish. 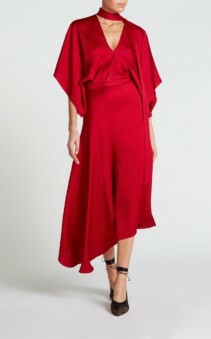 Asymmetric hem and necklines originally became popular back in the 70’s. With a lengthy hiatus from the late 90’s until recent years, however, this style fell out of favour. Luckily for us, it is once again a firm designer favourite as you will see from our stunning edit. As all great styles do, asymmetry has made a most welcome return to the catwalk and to our wardrobes. 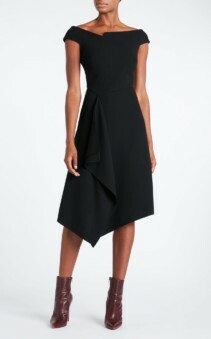 To fully embrace the asymmetric dress trend, choose a dress with both an asymmetrical hem and neckline. This style not only hints at your love of creativity it shows your adventurous side too. 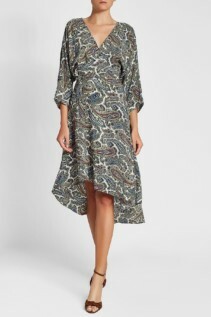 Try the Lavish Alice navy velvet dress by Share for example. This beautiful mini dress incorporates one off the shoulder strap and one full sleeve in addition to the asymmetric hemline. The bodycon, wrap style beautifully sculpts and defines the body. Meanwhile, the sumptuous navy velvet creates a feeling of luxury and undeniable elegance. 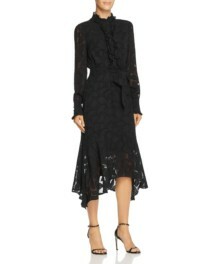 The cotton-blend black wrap dress by Juan Carlos Obando also incorporates one full sleeve. The other is a simple spaghetti strap that ties simply at the neck. The cascading ruffles and semi-sheer fabric create a sultry, romantic vibe for this dress. The self tied waist belt then defines the figure and enhances the wearers figure perfectly. 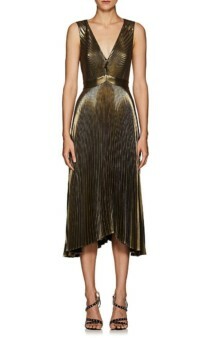 When we think of evening dresses we often steer towards darker hues. 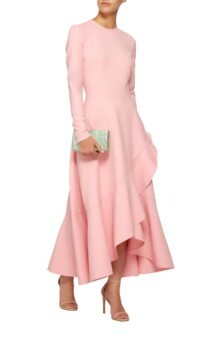 Try something different like the ruffled pink midi dress by Oscar De La Renta. This dress will likely be different to the majority at your next event making you stand out from the crowd. The beautiful shade of blush pink is wonderfully feminine and also extremely eye catching. 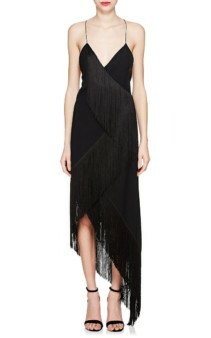 It still feels dramatic enough for the evening thanks to the ruffled asymmetric hem. 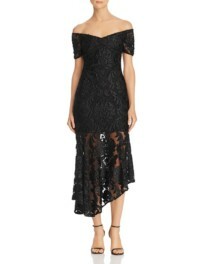 Additionally, the slim, figure defining cut on the upper half of the dress is also extremely flattering. 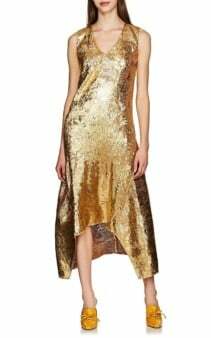 For the ultimate demonstration of luxury evening wear, opt for the Gwen metallic gold dress by Sies Marjan. Chiffon is coated with a metallic gold foil to create this innovative and unique texture. 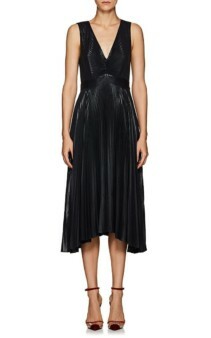 A V-neckline and sleeveless bodice subtly add to the fluidity and movement of this unforgettable gown.